Bangalore: The shipping ministry has scrapped an auction for a second container terminal at Tuticorin port after a group excluded from the bidding process challenged the decision in the Madras high court. A government counsel informed the court last week that the tendering process has been scrapped, and that the port in Tamil Nadu would opt for a fresh tender after reassessing the need for a new terminal. 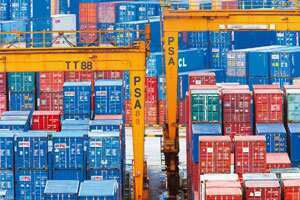 The court has since disposed the petition by the world’s second biggest container port operator, PSA International Pte Ltd, challenging the Tuticorin port’s decision to exclude it from the auction to develop and operate a new container handling facility. A shipping ministry official confirmed the development. He did not want to be named. The state-owned port had received price quotations from two groups—led by Chennai’s Chettinadu Logistics Pvt. Ltd and British firm Oceanic Transport Ltd, respectively—to develop a Rs312.23 crore terminal with capacity to handle 600,000 standard containers a year. The court told Tuticorin port it could open the price bids only after PSA’s petition was disposed. PSA International, owned by Temasek Holdings Pte Ltd, the investment arm of the Singapore government, was among five entities shortlisted as technically and financially qualified to bid for the new facility. It had bid for the terminal along with local partner Sical Logistics Ltd, with whom it is operates another terminal at Tuticorin port. This terminal is operating at its full capacity of 450,000 standard containers a year. But after shortlisting the PSA-Sical team for the contract, the port excluded it from submitting price bids. It cited a government policy that bars a firm that had won the last cargo handling contract at a state-owned port from participating in the bid for the immediate next contract, to prevent monopoly and promote competition within a port. The new project is among several planned by the Union government to raise the cargo handling capacity at its 12 ports to 1,016 million tonnes (mt) by 2012 from 567 mt to overcome capacity bottlenecks. The additional 487 mt capacity will require an investment of Rs55,401 crore, of which Rs36,868 crore is to come from the private sector and the remaining from the internal resources of the ports and government budgetary support, according to the shipping ministry.